Known for its showy flowers that can grow to 10”, the hibiscus (or mallow) plant is treasured for its ability to attract butterflies, hummingbirds, and bees. It also makes a darn fine tea! 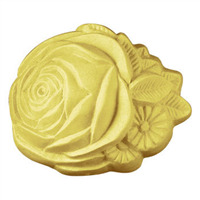 The Hibiscus Soap Mold is a beautiful, exotic option for floral soaps. Bar Length: 3.5" Bar Width: 3.5"
COMMENTS: I make cp soap at room temperature. I spray the mold with olive oil first so the soap releases easier. These are pretty i wish they were made of silicone. COMMENTS: I use these for certain candles. They work great, also for guest soaps. COMMENTS: I used this to make 24 bars of soap for bridal shower gifts. 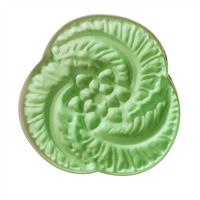 It is a great design and the soap turns out very detailed. The best way to release these is to put in the freezer for 5 minutes and if I'm in a hurry I place a warmed towel over the mold. Pops right out. Very sturdy mold. COMMENTS: Makes a lovely bar! COMMENTS: Love the design and the quality. COMMENTS: This is a pretty mold. Great for wedding favors or Mother's Day !! 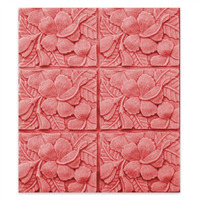 COMMENTS: Very sturdy and easy to use and clean-love the mold! 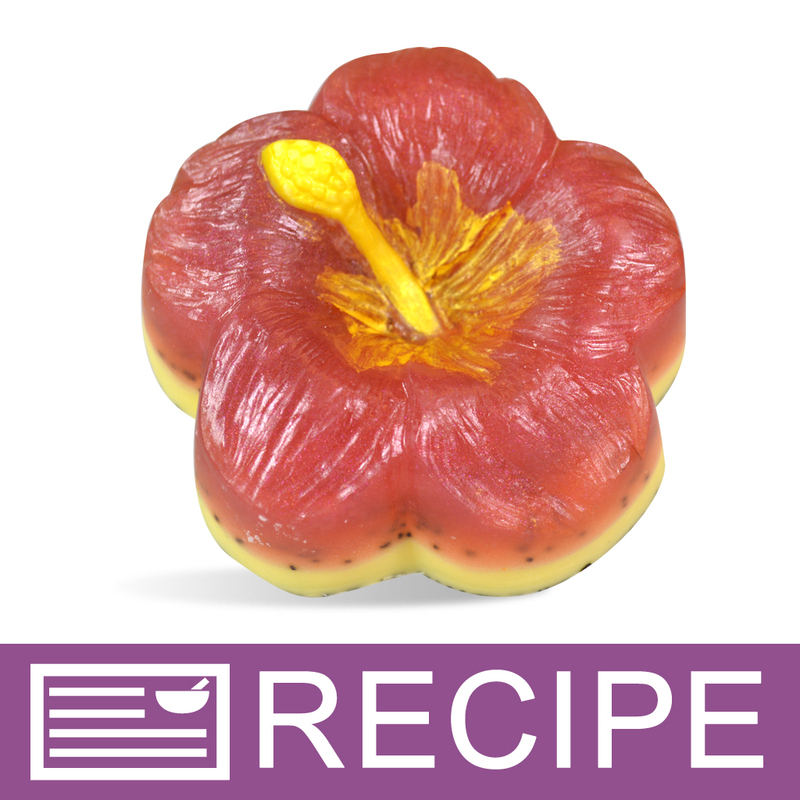 COMMENTS: This mold make a beautiful Hibiscus flower. Great amount of soap as well. COMMENTS: Nice size mold for a perfect hibiscus flower. COMMENTS: This made my melt and pour soap making easy and had beautiful results. I love it! COMMENTS: Excellent detail, gorgeous! Freezer, then easy release!